Elizabeth Harris, CEO of Resultist Consulting, to present "Build a Predictable Revenue Machine" in Bellevue on 6/16/2016. 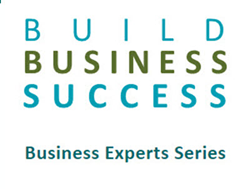 "Grow Your Business to the Next Level"
On May 4, 2016, Elizabeth Harris from Resultist Consulting announced she will be presenting at an upcoming event "Grow Your Business to the Next Level" on June 16, 2016, in Bellevue, WA. The workshop is designed for business owners and executives interested in increasing the short, mid, and long-term profitability, and value of their businesses. The workshop is a collaboration between Elizabeth Harris, Mike Pritchard and David Lightfoot. Mike Pritchard, the CEO of 5 Circles Research, will present "Happy Customers Are Important to Your Business" and David Lightfoot from B2B CFO will be presenting "Increase the Value of Your Business". Understanding the sales funnel stages and deﬁnitions. How to create a predictable revenue machine. Forecasting predictable revenue month after month. How to learn which customers are unhappy sooner. Simple steps to make existing customers happier and be more proﬁtable. How to target prospects who are most likely to be happy customers. How to improve proﬁtability and cash ﬂow in 2016. How to make business more attractive to potential buyers. How to choose an exit strategy aligned with personal goals. As a consultant, Elizabeth organizes her client’s revenue and sales processes to make them predictable and proﬁtable. As the owner of Paciﬁc Business Interiors, she grew the business from $4M to $16M in just 3 years. She also conducts workshops around the Pacific Northwest providing tools to enable attendees to grow their proﬁtable revenues.